This work is a rare cross-cultural study of one of the most universal dialogic genres: heroic flyting, or the verbal duel in which the heroes, prior to physical combat, make boastful claims that must be backed up through action in the arena of public contesting. Long recognized as an elemental behavioral paradigm in human consciousness, the contest has only recently emerged as a factor in the formation of Western intellectual traditions and modes of discourse. 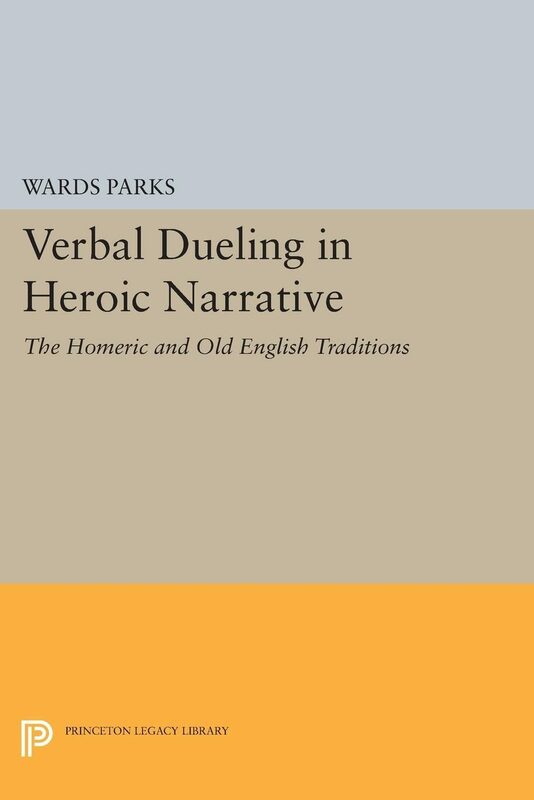 In presenting the verbal duel as a literary expression of the contest, Ward Parks shows how flyting interfaces words and physical action. He explores the place of flyting in the patterning of culture, both Eastern and Western, from Homeric and Old English martial narratives to current academic debate to such phenomena of popular culture as rap. Parks studies flyting from a comparative standpoint to discover major generic and structural characteristics common to this activity in both its oral and written traditions. Drawing his methodology from such fields as literary criticism, socio-biology, linguistics, and game theory, he begins with an exploration of the nature and structure of contesting as it relates to flyting interactions. He then examines the covert contract formation that binds the verbal and physical aspects of the duel, analyzes the heroic generation of speeches and their dialogic interrelation in the flyting process itself, and illustrates the adaptability of flyting patterns within a wide variety of cultural and ideological settings.Originally published in 1990.The Princeton Legacy Library uses the latest print-on-demand technology to again make available previously out-of-print books from the distinguished backlist of Princeton University Press. These paperback editions preserve the original texts of these important books while presenting them in durable paperback editions. The goal of the Princeton Legacy Library is to vastly increase access to the rich scholarly heritage found in the thousands of books published by Princeton University Press since its founding in 1905.